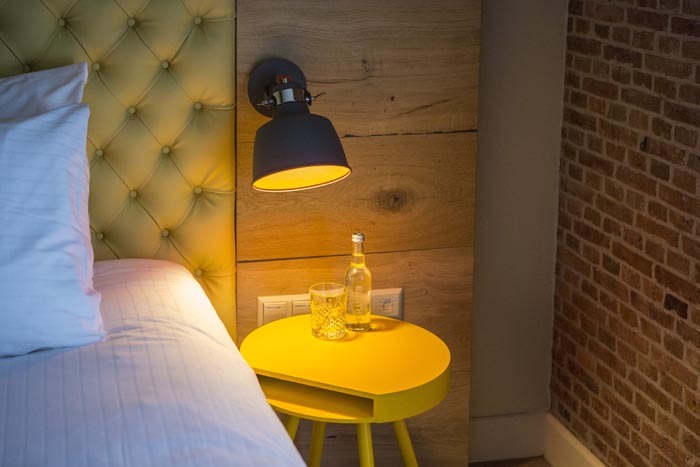 Want to enjoy a unique overnight stay in the Green Heart of Holland? 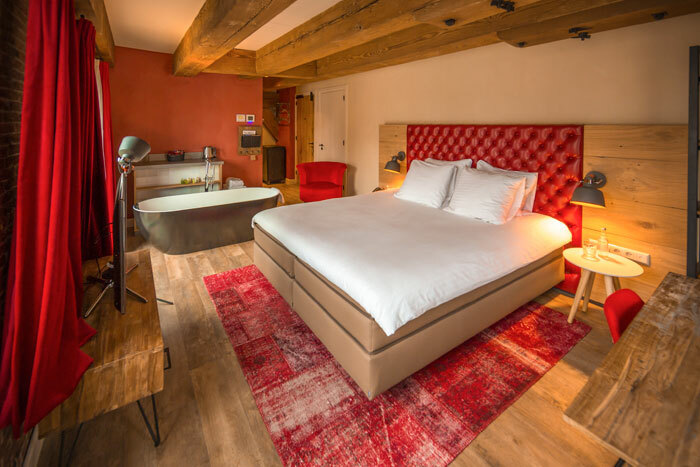 Want to enjoy a unique overnight stay in the Green Heart of Holland? Het lijkt er op dat uw browser geen mogelijkheden biedt om panoramas te tonen. bekijkt u deze pagina alstublieft in een recente versie van Google Chrome, FireFox, Safari of Internet Explorer. 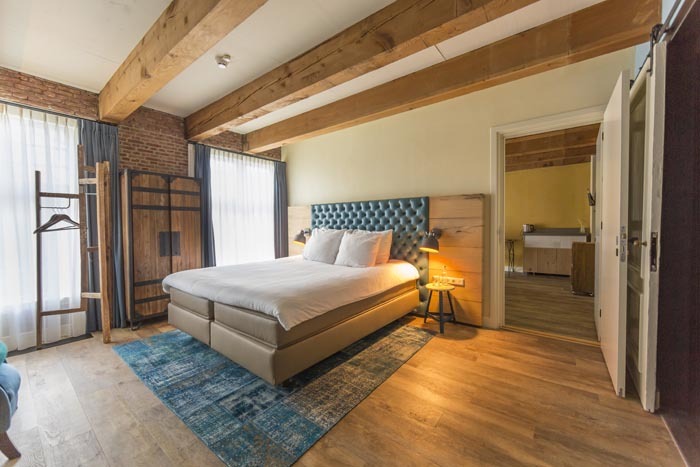 The Stadshotel Woerden is a national monument with a unique, rugged character, the perfect location for a unique overnight stay in a former arsenal from 1762 accented with rustic wooden beams. The spacious Classic Suites in warm, soft yellow and light royal blue are a minimum of 25 square metres in size. The soothing colours and natural materials have been carefully coordinated. 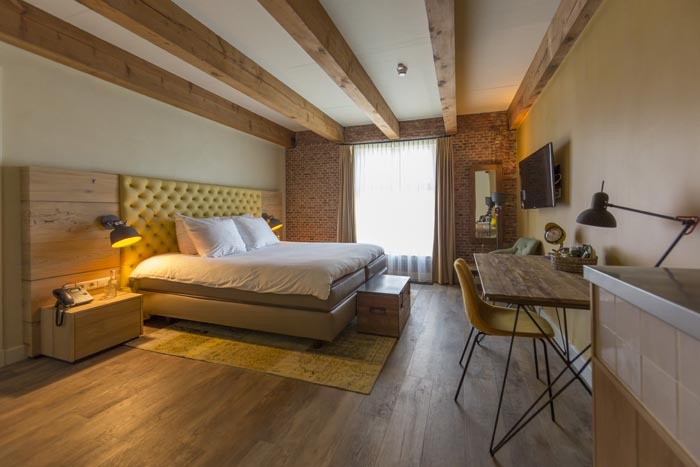 Stadshotel Woerden is equipped with a fully automatic, state-of-the-art sustainable climate system that ensures that the rooms are always kept at a pleasant temperature. Do you have any special requests to make your unique overnight stay the ultimate experience? We will do everything we can to make you feel welcome and right at home. Come enjoy a unique overnight stay and pamper yourself in luxury. 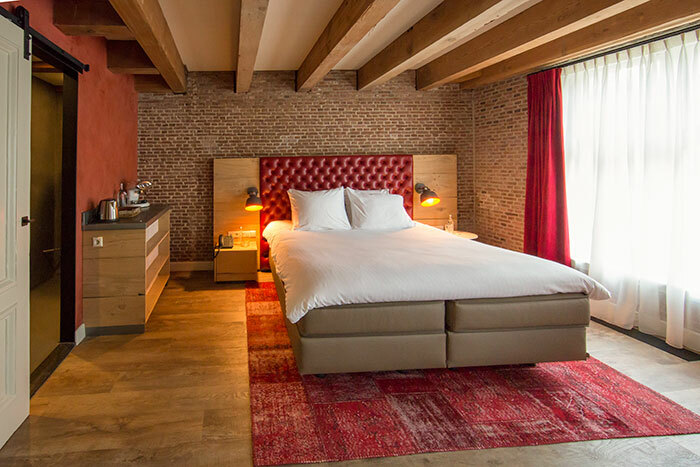 We are pleased to invite you to experience our boutique hotel in the Green Heart of Holland for yourself. You will be pleasantly surprised at the level of luxury and unique furnishings of the rooms. Dream away the hours in an exceptionally comfortable Auping box spring bed or relax and enjoy watching a flat screen television with Ultra HD quality from the bed. Each room has a separate toilet and luxurious walk-in shower. In the bathroom, you will also find large and small soft towels and an array of complimentary fair trade hair and skincare products. After enjoying an invigorating shower, you can dry your hair with the electric hair dryer. 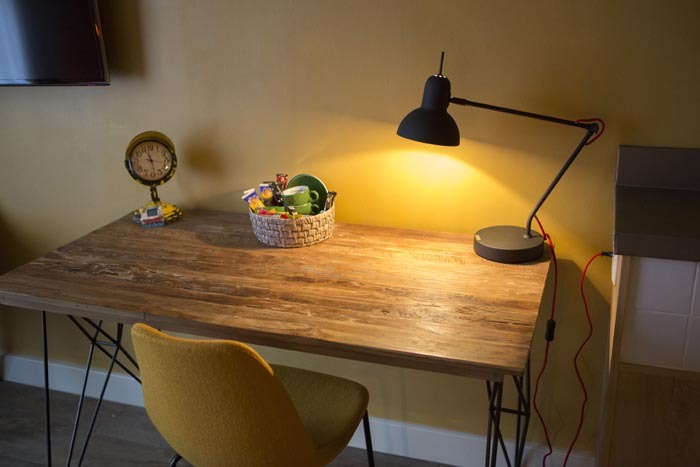 The rooms are also equipped with an efficient workspace with Internet access (free Wi-Fi) and facilities to make your own coffee, tea or hot chocolate. Make sure to taste the excellent organic tea blends. Earth Water is also available and, of course, our guests are always welcome to take advantage of our room service for extra pampering. Our personal attention and generous hospitality guarantee a lasting memory of a unique overnight stay. Sweet dreams! Facilities for making coffee/hot chocolate/organic teas. Each of our stylish suites is unique. On this page you can explore one of our 18 Classic Suites, all of which guarantee a unique overnight stay in the Green Heart of Holland. The Stadshotel Woerden also has a number of connecting rooms. 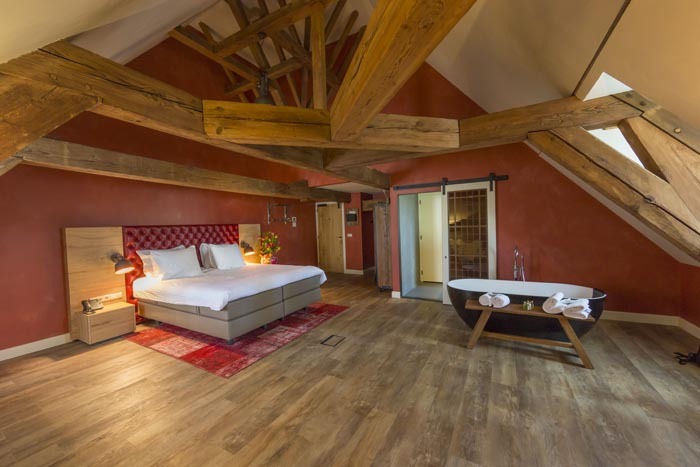 These family rooms are the ideal solution for families with small children and perfect for those looking for a luxury hotel that is child-friendly. One set of suites has no doorsteps in the rooms, making it suitable for wheelchair users and their caregivers. When booking more than 4 rooms, different policies and additional supplements may apply.